At this point, our businesses and even our personal lives would be nearly impossible to run without our data. Not backing it up properly or trusting the wrong service to do it for us is no longer an option. Luckily, features that used to come with enterprise-grade prices and complexity are now available to anyone with a computer. Here’s how to create your own encrypted, redundant, chunked, password-protected drive with AetherStore in minutes. 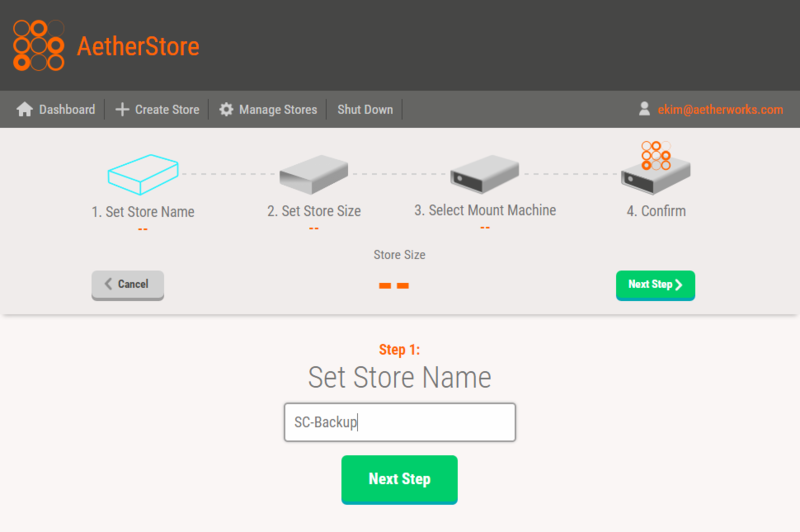 To Get Started: Install AetherStore on your computers with spare storage. You’ll notice an optional AetherStore Bridge component in the installer, you only need to include this component on machines you’ll use to set up and manage AetherStore. Open the AetherStore Bridge and select “Create Store”. Choose a name for your Store. 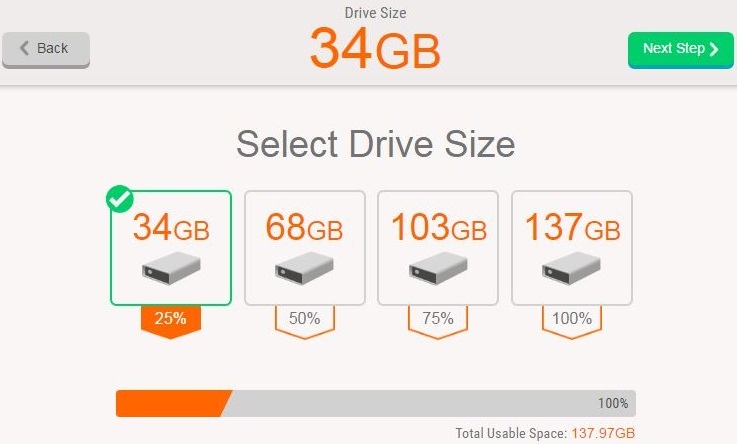 Choose the size of your Store. The percentages below each option indicate the percentage of free space on each machine that will be allocated to AetherStore. By default, AetherStore will replicate your data four times. For added customization: choose “Use Custom Create”. From there you can view each one of your machines, include or exclude them from the Store, and set exactly how much space you want each of them to contribute. You can also change the replication factor in Custom Create. Pick the mount machine for your drive: this is the computer that will be able to view and access the Store. You can change the mount machine after your Store is deployed, or at any time, from the Manage Stores page. Assign any drive letter not currently in use. Click “Create Store”. You’ll be promoted to set a password for your Store. Once entered, hit “Deploy”, and that’s it! You’ve created an encrypted, redundant, password-protected Store drive. Check out your new Store on the mount machine, and use it just like you would any other drive.